The biggest warship of World War II and the world's largest battleship. Yamato was designed around the idea that an individual ship could have superiority over any battleship of a potential enemy. Her main guns had overwhelming firepower. The ship maintained a very high level of survivability due to reliable armor and robust torpedo protection. Yamato’s AA capabilities were highly efficient due to carrying numerous AA artillery guns. This topic is the starting point for discussing this type of battleships. When a full-fledged guide appears, this topic will be replaced. 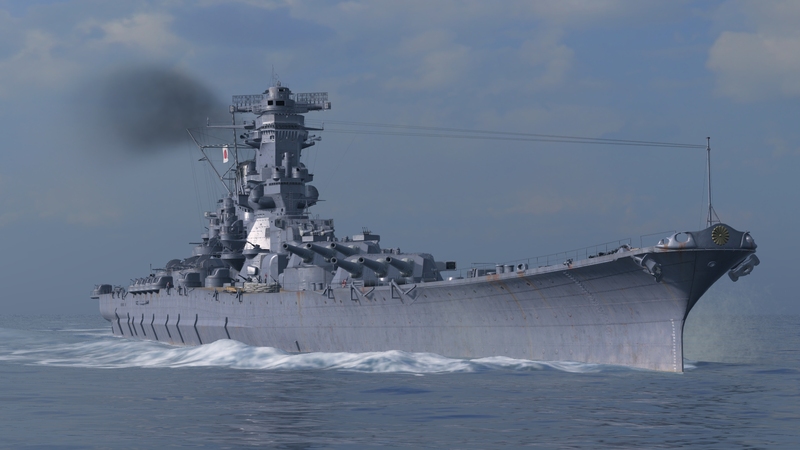 Yamato’s anti torpedo defense should be nerfed massively because historically both Yamato and the Musashi had problems joining the upper and lower anti torpedo defense. It should have AA shells for primary guns too then. ...and its HE shells should have the highest damage of any BB shell..they be 18" no? As a gift to myself, I spent some doubloons to convert some Free XP to finally add Mighty Yamato to my port. I played her quite a bit on the Public Test server, and fell in love with her. I’m hoping to make her a brawling/plane swatting hybrid. Since he plays mainly co op, it's perfectly fine to do a brawling role in a Yamato as that's where most of the damage comes from. it would have been better in my opinion if that had the musashi in here kind of sad that shes more known atleast from what I hear.